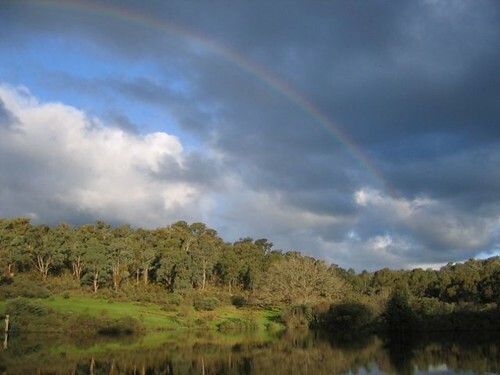 Recorded at Lake Haridas in Fryers Forest, Victoria, Australia on Sunday 17th February 2013. Lake Haridas is a man made lake in Fryers Forest. This is a "sound portait." Recorded over 2 hours from late afternoon 'til dusk. It includes birds, insects, people and a hint of rain. I rolled when i thought there were some interesting sounds happening. It also includes my wife and son going for a swim. This is the 14 minutes i extracted.